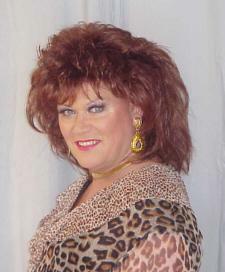 The fabulous drag icon Miss Vicki Rene passed away in July, 2011. Vicki Rene’s site for drag queens, female impersonators, cross dressers, transsexuals and the transgender community is now part of The Transgender Guide network of sites. This site will remain in remembrance of our dear friend who touched so many of us in a very positive way. We will include the photos from Vicki Rene’s friends, including the popular “Prettiest of the Pretty.” We will restore the e-mail and website addresses from the photo submissions also. That will be completed in phase 2 of our rebuild of the site content. This is a huge project that is going to take a few months to complete, so please be patient with us as we restore the old site content. Please feel free to leave a comment for Vicki Rene and you may also submit any photos you might have of her. Note from Lori of TGGuide.com: Vicki Rene was a friend and a mentor for me as she was to many others in the transgender community. We lost Vicki Rene in 2011 but her vision lives on and we welcome her online family into the TGGuide network. Miss Vicki Rene was a caring and compassionate person. Here is a quote from her that I especially love. This timeless advice gives a glimpse into the true nature of Vicki Rene. “I have been asked over and over again, the same question, in both emails and in person: “How do I become a better woman, a passable woman?” I always answer it the same way! Navigating the site: There are many pages in this site. Please notice the site navigation buttons at the top of the page. When you mouse over the buttons you will find nested pages with even more content. You may also go to the VickiRene.net sitemap for a complete index of all pages and content on VickiRene.net. What’s Happening: We will update this section to keep you informed of site progress. Presently, we are busy working behind the scenes to restore as much of the site content as possible. Fortunately, we have most of the thousands of photos and pages from the original site. We are restoring all of the “Prettiest of the Pretty” photos, showgirls and some of the drag pageant winners. Please come on in and take a look around, but check back soon because there will be more site photos and content added daily. TRANS COMMUNITY & SUPPORT: We have thousands of transgender community members and friends. Trans chat is a great way to explore your place in the transgender community. Come join us in a safe, welcoming environment and meet new friends! We have chat rooms designed specifically for the transgender community and trans support rooms. TRANS ADMIRERS: If you’re an admirer or want to engage in naughty chat we have you covered too. Just sign up and look in the Trans chat rooms list for adult-themed rooms just for you! We’ve created a Trans chat room and social network platform with something for everyone. We don’t have a lot of chat rules but we need a few to be sure the chat flows smoothly. Please read through the chat rules and make sure you follow them. Join the conversations and get to know everyone. There are some great transgender folks and community friends who will be happy to chat with you. Click here to sign in or join transgender chat – it’s always free! I knew Vicki Rene for many years. Saddens me to find out just today that she passed away last year. When last we spoke she was living in Florida and we spoke of her health. She never complained and I didn’t realize it was so dire. Miss you honey. Love and Kisses always. I just heard from Amber Lynn about Vicki’s passing. Heaven gained an angel when Vicki passed on. My only contact with her was through E-mail, especially when she was on AOL. I also knew some of her “Prettiest of the Pretty” through E-mail correspondence. May she Rest in Peace. Well I´m very far, in Brazil, and only today knew that she is gone. What a pity, what a loss. She gave me very good moments showing to the whole world what we are! I´ll be thankfull for my whole life. Yes, Vicki Rene touched many people and you know… I don’t think she really ever knew just how much she meant to us. It is with great sadness to have returned to this site after more than a year and find that VickiRene has passed this same month. She gave me ample evidence against a chorus of inner voices to find myself not guilty of being alone and an oddity. It was even more profound to that the Words to Live By (by Vicki Rene) reflect my own philosophy and message to my sisters en femme nearly verbatim. Love you Vicki. I wish I could have met you on this side but the opportunity is forever open. That may be one of the most eloquent things I’ve ever heard said about wanting to see a departed friend again. Thank you for posting Denise. I like to wear black nylon stockings high heel shoes with girdle, and i like to wear feminine pants. Thank you very much. I knew Vicki from my days in Dallas. It was with her help and others that I was able to come out and be who I was. I miss her as she was like a older sister to me. Vicki I love ya and miss you dearly. I wondered why the site went down. I travel to crossdress and used the links all of the time to find new places to get makeovers and/or transformed. Thank you so much for your comments. Vicki Rene had been dealing with kidney and heart problems but she rarely let anyone know. She wasn’t one to complain or bring others down. Nobody seemed to know how serious her health problems really were. I wasn’t aware of the CAPTCHA error — that has been repaired and I will get the makeovers page back online for you very soon. We’re restoring as much of the site content as possible but it is an overwhelming task that is going to take months to complete. Like for many of us, Vicki’s web site was my first coming out of sorts. It was obscure enough to the wrong crowd that I wouldn’t be outed, yet a central hub to the exact people that I was trying to connect with. Also, it was so sweet of Vicki to personally comment via email when she would add a photo. It truly must have been an immense task to keep her site running and clearly it was a labor of love. Did not know Vicki for just one year but she seemed to know everyone and she really enjoyed what she was doing.She had the only site with that much information. she was always updating the site, She truly enjoy it all. Rest in Peace my friend, till we see each other again…. I can vouch for the work Vicki Rene did on this site. It is going to take a very long time to restore everything. We plan to keep the site going and in the near future will start accepting new photos from site visitors. Thank you for your comment. I discovered Vickys big Website in the year 1998 – while i began starting my own web activity – Vickys site at geocities was a shining star in the early time of the Internet – she gave many T-Girls hope to come out of their kitchen, making their own photos and their own sites. She was a leader of the Transgender-Community, to make their way to get acceptance from other thinking people, she gaves many others the courage to stay against the wind, blowing a little bit stronger in the beginning years when she was starting with her sites. We all live a little bit for each other – all we do is a little bit help for every other, who can understand. Oh my God..No…I Loved her..This is truly a loss to the GLBT community..
GOODBYE MISS VICKI RENE, I WILL MISS YOU SO MUCH, I HOPE YOU ARE LOOKING ON NOW AND FEELING IT!!! I LOVE YOU VERY MUCH!!! YOU WERE THE PORT IN THE STORM FOR SO MANY OF OUR SISTERS AS WELL AS THE COMMUNITY!! Rest in peace Beautifull Big Sister Vicky Rene. So very sad to learn of Vicki’s passing. I had no idea. We “met” in 2005 when she did an interview with me for her “Showgirls of Yesterday” web site segment. We corresponded frequently for a few years but eventually lost touch. I just assumed she grew tired of keeping her web site up and running. I knew she had a kidney problem but she didn’t complain much about it. We talked on the phone once in a while during that period. I feel so very sad about this. Thank you for sharing your thoughts and memories Terry. It is with a saddened heart that I say God Speed to someone that touched my life in a positive way. She was the light at the end of the tunnel for many but she was something more to me. I hope that her family knows just how missed she will be. I was sad to read about the passing of such an amazing woman….stumbling across her website a few years ago, changed my life completely….she made it possible for me to meet people like me….and this took me out of the dark lonely place that I was trapped in…….she is and will be sadly missed….and my heart goes out to her family and friends…. The sorrowful demise of Big Sister Vicky Rene is a great blow to the transgender community, female impersonators, cross dressers and others who were closely related with her. May god grant her peace. She will be ever-inspiring to many people like me. as long as I provide credit and sources back to your website: http://vickirene. No problem at all Carolyn. Thank you for asking. Vicki and I were, from the late 90s, a bit joined at the hip. She was primarily responsible for me involving myself with the Renaissance group in King of Prussia, Pa. Both my wife and myself would change at her place and go to the meetings and stay overnight. We’d breakfast the next day and always were in touch. When she moved to Dallas, when she moved to San Diego, I was there, visiting. My wife, Shalia, joined us in the San Diego visit and we all went to Vegas. A picture of myself and Vicks, as I called her, at Hoover Dam, en drab, is the one I most treasure. She and I were close for a long time. When she got ill, I crossed my fingers and then, one Xmas, no card came back. I knew then. A friend in DC who was also a good friend of all of us, confirmed the sad news. Until today, I never knew this site existed. She was my friend and the very, very best gal pal this sister ever knew. For a time when she was President of the Vanity Club, I was her VP. We were close and caring and I shall always miss her. Sometimes, Shalia and I will still recall things we all shared together. No, not that, just deep, true friendship. I still keep her special recipe for Strawberry Salad, hehe. I will always keep it. I have so many special memories of her and our times, I can’t begin to relate all of them to you. She was my friend and I loved her (and him) as much as any friend I ever had. I will always miss her. Love you, gurl……Lexi. Many years ago I discovered Vicky Rene’s “Prettiest of the pretty” and it gave me a wonderful overlook at a world I was still longing for. Here in Holland just a few were knowing what was happening in the USA, but I have been fortunately able to get a good look at Vicky’s community. I have found my luck as a woman and was struck by the news that has gone. There is a pretty world above and she is there! Vicki was an inspiration to me. I came accross her website in the early days of the internet and was lucky enough to be included in the Prettiest gallery. She will be greatly missed. God bless you Vicki. I didn’t even know the site was still up. I had the honor to be one of Vicki’s Prettiest of the Pretty. She was a fabulous gal who welcomed me into the sisterhood of V.C. I can remember enjoying her company at SCC. You’re missed Sis. Gone but not forgotten by those who loved you. I had the pleasure to both know Vicky well and have partied with her in Florida when she would visit. She was a terrific person and always emulated the true persona of a lady. She will be missed for her friendship and her support to the transgender community. I knew VickiRene both personally from meeting at Southern Comfort and other places around the country, but also from chat rooms, and just generally on the internet. I was also a member of her POP site, as she was of my Vickie’s Vixens site that I maintained for a number of years. Our paths just always seemed to cross. And then there were people who would email me and ask to join POP or her to join Vickie’s Vixens. We both got a bit of chuckle over that, together,. Vicki, I will never forget you making the trip to see me at Metro. You were a very kind and inspirational person. She was a lovely person who did so much for the community. I am so very sorry to hear of her passing. to this site it opened up a whole new world to me. I think a very nice person is gone.